We call it a night tour but what you really see is ALL the different light: Daylight transitions to Golden hour, sunset, Blue hour and darkness. 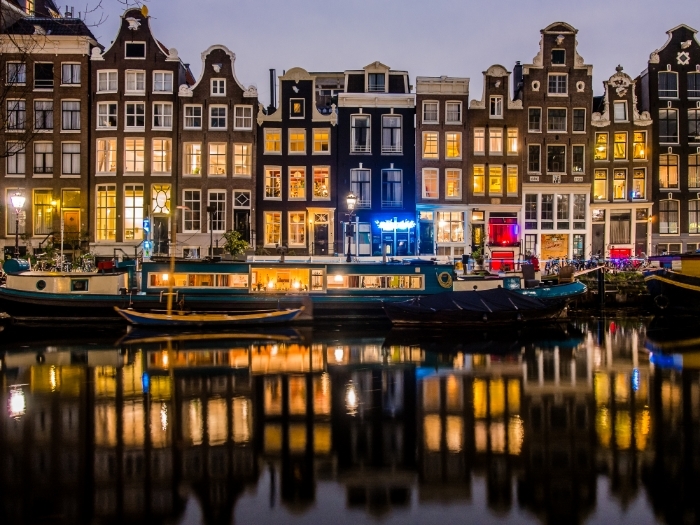 By starting before sunset, this tour enables you to experience Amsterdam with daylight shooting and night shooting. Our absolute favourite time to photograph the city is at night! No matter the weather, the images always look spectacular! Amsterdam has a fairytail vibe at night. The lights come on the bridges and the street lights flood the place with an orange glow. The whole place sparkles to life as a special atmosphere descends on the city. This is when you'll take photos that make you proud for a lifetime! As they have done for us. We capture the light trials of boats and the silky dreaminess in the canals with night photography techniques. And we'll take you to the best place in Amsterdam to photograph the sunset. If you are new to night photography I promise you will get-to-grips with it in 20-30 minutes. We talk about easy to master tips of how to achieve professional looking night photography and explore different kinds of long exposures. It is broken down very simpley if you are new to night photography. You will need a tripod for this tour, they are available to rent for €9. This tour is half daylight shooting and half night shooting, so you get all the different lights. What do I get for a 4, 5 and 6 hour tour? 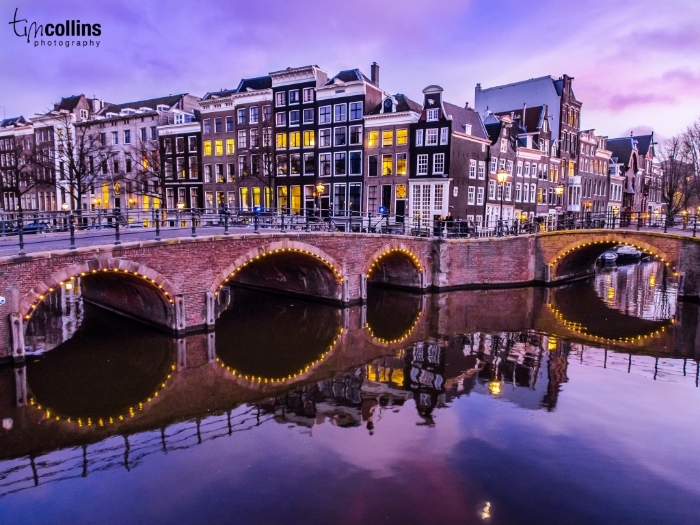 For the absolute best experience, we take you to ALL the parts of Amsterdam that we think you definitely have to see and photograph, and we do this very well with the longer tours. 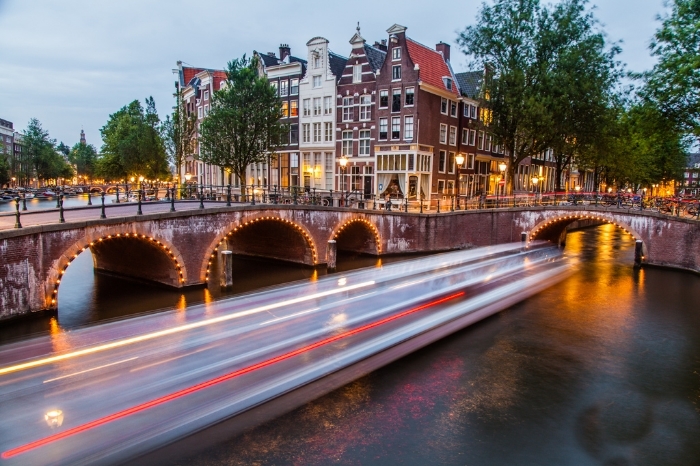 We get to see “off the beaten tourist path" locations, and some of the city’s most spectacular spots near the edge of the city: think picture perfect canals and bridges, we also skirt around the red light district and the far side of the Jordaan's classic neighbourhood.